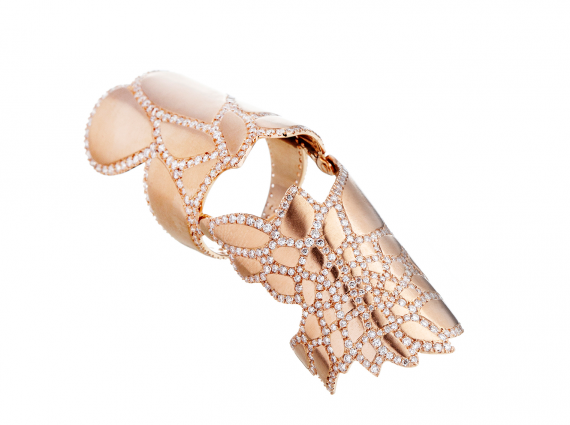 Zaha Hadid created the Silene high jewellery pieces in collaboration with The House of Aziz and Walid Mouzannar. 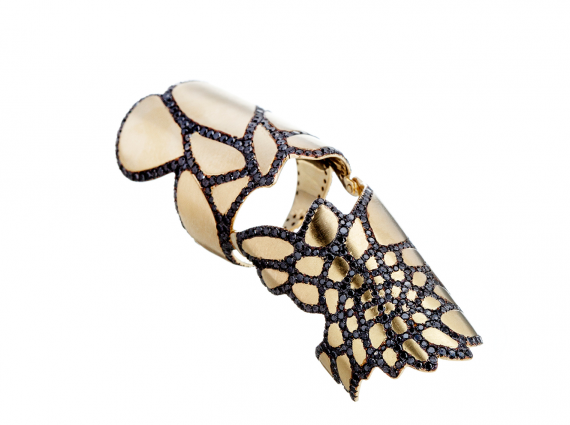 The Mouzannar family has been creating jewellery since the 18th century, and with the Silene pieces, they continue their tradition of crafting remarkable jewellery. Silene expresses the fluidity and complexity of natural forms. 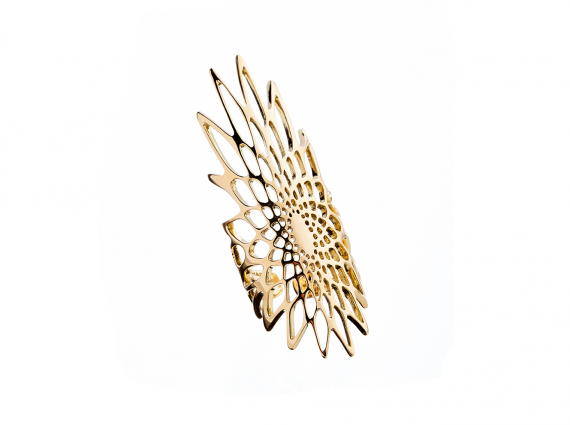 An intricate web gently envelops the pristine white gold cuff resulting in a delicate piece that explores the evolution of organic geometries and patterns. Inlaid with diamonds that float between the fluid forms to accentuate its composition, Silene orchestrates an ever-changing play of refraction and reflection that conveys its formal complexity.